eFilmCritic - TraversWatch - Help! We Need Somebody (other than Travers!) Help! TraversWatch - Help! We Need Somebody (other than Travers!) Help! There are a lot of quotes making the airwaves this week. With four wide releases on the docket, that comes with the territory. Three of them are on the negative side at Rotten Tomatoes. That must be why Carrie Keagan is plastered on the ads for two of them, citing that the Glee concert film is "not just a movie, it's a celebration!" and that 30 Minutes or Less is so funny you'll need a diaper. Whatever you say, Carrie. Hell, the Weinsteins are trucking on positive quotes on Spy Kids 4 even though they are refusing to screen it for critics in most cities. Look for that to be in the negative next week too. 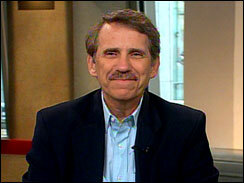 There will be plenty of whore quotes to go around the last few weeks of summer and we are sure they will come back into play at some point, but it's time for another round of asking the studios why they continue to use Peter Travers to promote the films they don't need him for. Like The Help. "I'm calling bullsh** on this...movie. The movie plays like an evangelical prayer meeting, though I'd hold the hallelujahs." 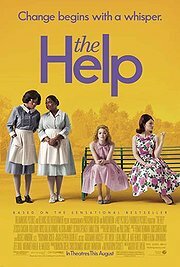 Actually that's not his quote on The Help, though there are many critics who might think it also applies to the film about African-American maids told through the eyes of privileged white women. No, that's what ol' Travers said about the Glee film. Sometimes ol' Pete has to really amp up the hatred to counter his overflowing praise when he even faintly likes a film. For myself, as someone who has yet to see Glee in 3-D and actually went from loving the show in its first season to absolutely hating its sanctimonious whining midway through its second, I much prefer my colleague's Matt Pais' take on the hypocrisy of the concert film's message. We have come not to destroy the Glee film though, but to praise The Help. Well, not me. But all the other whores leading the way. That's nice, Peter. Maybe next time try not re-gifting. The Travers archive is full of this stuff. And it's all meaningless - even if he means it. We have noticed recently that some of the studios are preferring to credit just Rolling Stone; keeping Travers' name off entirely on quotes for Bellflower and Another Earth. Criticwatch does not give Travers credit if the studios don't. Therefore that leaves Travers with just 35 quotes on the year. This is potentially a significant step down for the studios use of him considering he had a whole 48 through Labor Day weekend just last year. Up through this weekend's releases (of which Travers split over) his reviews linked at Rotten Tomatoes chalk up to 48-29 positive-to-negative (not including his review of HBO's Mildred Pierce and double-dip on Jane Eyre). All but two of his 35 quotes are for films with positive reviews linked there. That means a third of his praise was ignored by studios who found something better. Criticwatch is still weening the studios off the Travers crack, so we'll set the goal on his output for the year at 49 or less. That's under 50, studios. We're spotting you 14 more quotes tops for the last four months of the year. Can you do it? Can you resist the urge and go cold turkey on this ham? This is our official whisper to you all. Time for a change.